Storied past. Powerful present. Exhilarating future. 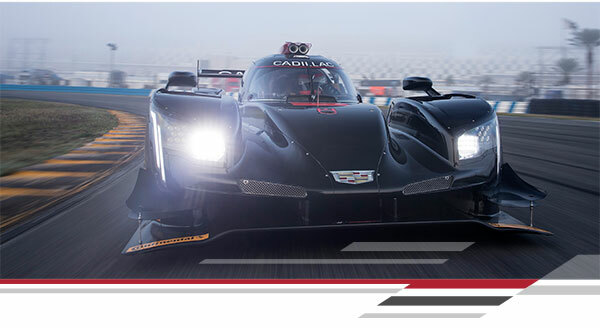 Get ready to experience all three by joining us at the Cadillac V-Performance Car Corral during the Long Beach Grand Prix. Two (2) three-day admission tickets to the Cadillac V-Performance Hospitality Tent. Two (2) three-day Grandstand tickets. Catered meals, snacks and beverages in the Cadillac V-Performance Hospitality Suite. Visit CadillacVSeriesRacing.com to purchase your ticket package. Space is limited. Tickets must be purchased by April 10, 2019. Please allow up to 3 business days prior to the event for delivery via Fed-X. *Participants are responsible for personal travel and lodging costs. This is an invitation only event. Offer valid through 4/10/2019 or while supplies last. Offer is non-refundable, non-transferable and non-redeemable for cash. Limit one per person. Approximate retail value $500.